Byrdy Galernik scans the court. The sophomore guard and the Wildcats went 1-2 at the Challenge in Music City. Northwestern’s offense disappeared in Nashville. The wins, in large part, did too. The Wildcats (5-2) struggled offensively at the Challenge in Music City, grinding their way to one win but suffering their first two losses of the season and failing to find a consistent scoring rhythm. Saturday’s 49-48 win over Auburn was the bright spot for NU, bookended by an ugly 61-44 defeat at the hands of Chattanooga on Friday and a devastating 55-54 loss to Georgetown on Sunday. A handful of offensive themes were consistent across the three games. The Cats took fewer shots than each of their opponents — 18 fewer than Auburn and Georgetown — and NU’s best players were inefficient from the field. Freshman guard Jordan Hamilton was just 1-of-9 against Chattanooga, and teammate Lindsey Pulliam was 3-of-15 against Auburn. Still, the Cats had chances to win each game. NU rebounded from an ugly 7-point first quarter against Chattanooga to pull within 8 after three periods, but the Mocs rattled off the first 15 points of the fourth to extinguish hope of a Cats comeback. NU used a 15-3 run against Georgetown to close a double-digit second-half deficit, but the Hoyas capitalized on a controversial last-second foul against Hamilton, and a near-miss by sophomore forward Abi Scheid, to eke out the victory. In contrast, the Cats’ 1-point win was less contentious, if no more refined. NU allowed Auburn to claw back after it scored just 13 first-half points, and the Tigers took a 5-point lead with 2:25 to play. Auburn would not score again, however, and Hamilton gave NU the win on a jumper with 11 seconds left. Hamilton’s fellow freshman guard, Pulliam, continued to lead the Cats offensively. She tallied a team-high 16 points in each of NU’s losses, and added 12 — in large part because of a perfect 6-of-6 mark at the line — on Saturday. Offensive bright spots were otherwise rare for the Cats. They had 41 turnovers over the last two games, made five 3-pointers against Auburn and had only one double-figure scorer, Pulliam, against Chattanooga. A pair of veterans, senior guard Lydia Rohde and junior forward Pallas Kunaiyi-Akpanah, had particularly rough weekends. Rohde combined for just 10 points over the three games, and Kunaiyi-Akpanah did not attempt more than six field goals in any contest. 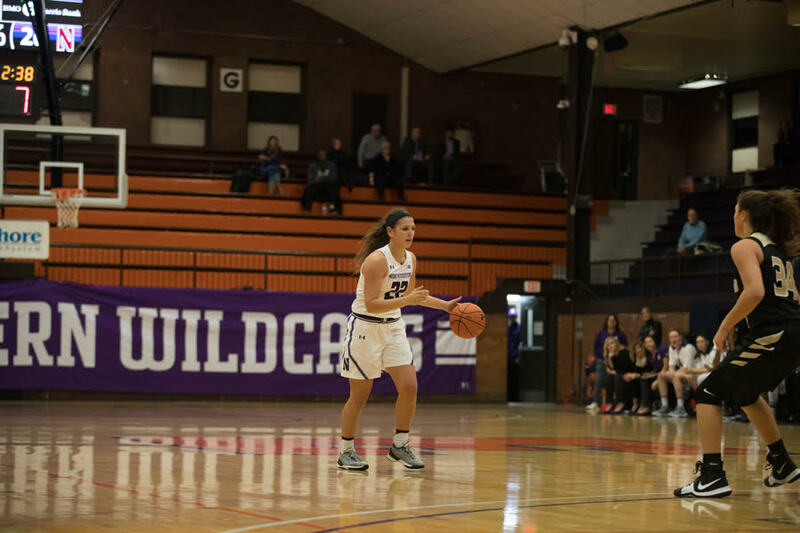 NU was stout defensively across the weekend, however, and was able to return to Evanston with its first power-conference win of the season and a short respite after a taxing four games in five days. NU next plays Thursday at Syracuse.